Some wine lovers are not aware that storing wines for too long in a room with poor conditions will result in huge problems related to the wine’s quality. With various wine storage solutions available in the market today, it is a smart idea to consult with an expert builder in Baltimore. 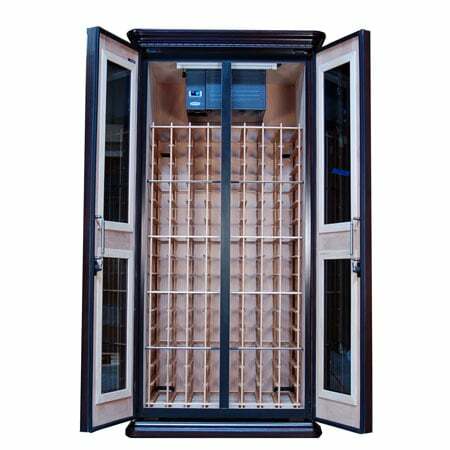 Harvest Custom Wine Cellars and Saunas offers stylish wine cabinets. Learn when a wine cabinet is the best option for you. Wine is sensitive to external factors, especially heat, and UV light. Therefore, your wines must be stored in a room with ideal conditions. At Harvest Custom Wine Cellars and Saunas, we help clients in Baltimore to choose the best wine storage solution for their needs. If you are having a dilemma whether to choose a wine cabinet or a wine cellar, we can help you! We have to consider several factors in determining the most suitable type of wine storage for your collection. These include the location and size of your room, the number of bottles you intend to collect, your budget, and your aesthetic preference. What are Refrigerated Wine Cabinets and When Should You Choose Them? Refrigerated wine cabinets, which are also known as active wine cabinets and purpose-made wine fridges, are designed to replicate the conditions of a climate-controlled wine cellar. They offer many advantages, which make them a favorite wine storage solution of residential and hospitality establishment owners. They are designed to regulate both the temperature and humidity levels essential for the wine’s graceful aging. If you are on a tight budget and do not want to rip out any of your walls, we recommend you opt for refrigerated wine cabinets. This is also an affordable, yet effective solution for wine collectors, who do not have ample space for a full build-out and intend to collect only a few bottles. Wine cabinets can be placed in almost any area of your home, restaurant, hotel, bar, or retail store. Some are freestanding, while others are ideal to be placed on countertops. At Harvest Custom Wine Cellars and Saunas, the wine cabinets we offer are from trusted brands: Eurocave, Le Cache, and KoolR. Harvest Custom Wine Cellars and Saunas recommends that you follow the tips below as your guide in choosing the best style and brand of wine cabinet for your collection. Ask yourself how many bottles you are planning to store. We suggest that you choose a wine cabinet that is large enough for a growing wine collection. It is better to have extra space for additional bottles than to buy another wine cabinet in the future. Carefully research the manufacturer.It is a smart idea to know about the quality of their products and reviews about them. Make sure that their wine cabinets are engineered to have a long lifespan. Consider the sizes of the bottle sin your wine collection. There are some cabinets designed to store only standard (750 ml) bottles. You will not be able to store large format bottles like Champagne, Magnum, and Pinot Noir. Wine Cabinets with built-in wine cooling systems can regulate the temperature like wine cellars. Look for other features such as humidity control, a digital display, an alarm system, installation flexibility, and a quiet refrigeration system. You may also look for a wine cabinet with cooling and heating capabilities. Choose a wine cabinet that goes well with the existing décor of your residential or commercial property in Baltimore. If you want a classic appeal, choose a wooden wine cabinet. If your space has a contemporary design, we recommend a wine cabinet made of steel. Consider the height of the ceiling where you want to place your wine cabinet. Doing so will help us determine if a top-vent, front-vent, or rear-vent wine cabinet is the best option for you. What is your budget for a wine cabinet? At Harvest Custom Wine Cellars and Saunas,we have had clients who purchased a cheap wine cabinet and regretted it later because of its poor quality and short lifespan. We advise you to invest in an inexpensive and functional wine cabinet offered by reliable manufacturers. For many years, we have been using built-in wine cabinets in our projects in Baltimore. The units are supplied by top-notch companies known for their passion for manufacturing wine cabinets capable of achieving the optimum conditions required in the aging of wines. EuroCave has been designing and producing refrigerated wine cabinets for many years. 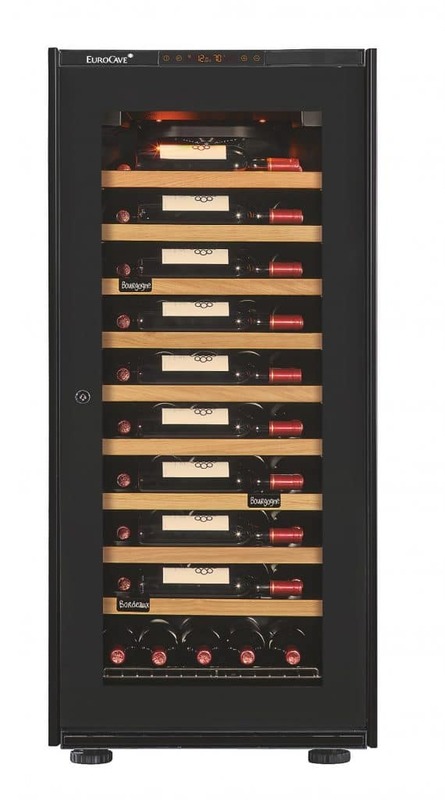 Their French-made wine cabinets were manufactured using innovative technology to meet the needs of avid wine collectors who want to display and store their wines with style. They are available in various sizes and shelving configurations. Le Cache is one of the top-notch manufacturers of wine cabinets used by builders in Baltimore installation projects. Their wine cabinets, which are also called upright wine cabinets, are designed for placement against the wall. Since they are equipped with top-vent cooling units, they allow the hot air to be ventilated through the top section of the cabinet. Keep in mind that there must be sufficient clearance above the cabinet for better heat dissipation. KoolR wine cabinets are designed with a contemporary appeal. They are available in single or double deep configuration, so you can choose a unit that fits the size of your room and the number of bottles you intend to store. The glass door has high insulation value. Looking for a cost-efficient and elegant type of wine storage solution? Harvest Custom Wine Cellars and Saunas offers wine cabinets by top-notch manufacturers in Baltimore. If you have inquiries or need help, talk to us at !